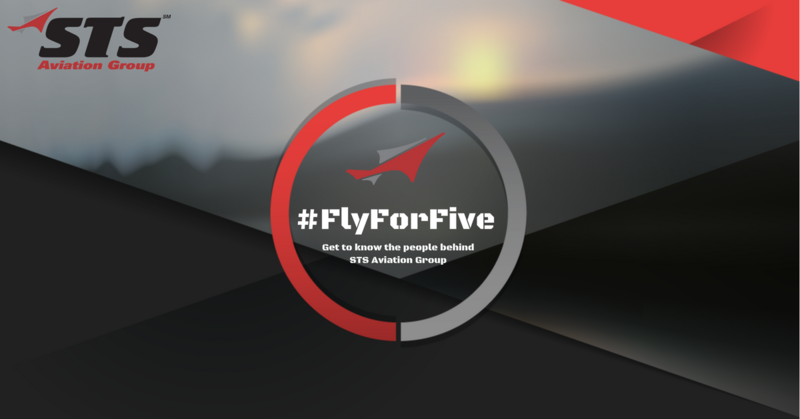 With that in mind, it is the people of STS Aviation Group and their stories that we will put on the forefront of a brand new campaign known as #FlyForFive. This article is the first in a series, and because of that, perhaps a little introduction is in order. In just five brief minutes twice a month, you will be introduced to a new member of the STS Aviation Group family. We will ask each brave and willing participant five questions and share their unfiltered responses with you, our dear and loyal readers. OK — The time has now come for you to sit back, relax, grab a cup of coffee and settle in for a quick five. What’s to follow will not only be fun, it will also be a great way to get to know our leader, our friend and our fearless CEO, P.J. Anson. If you have any questions for P.J., we just wrapped his LinkedIn profile around his name, so feel free to connect with him when you’re done reading this article. 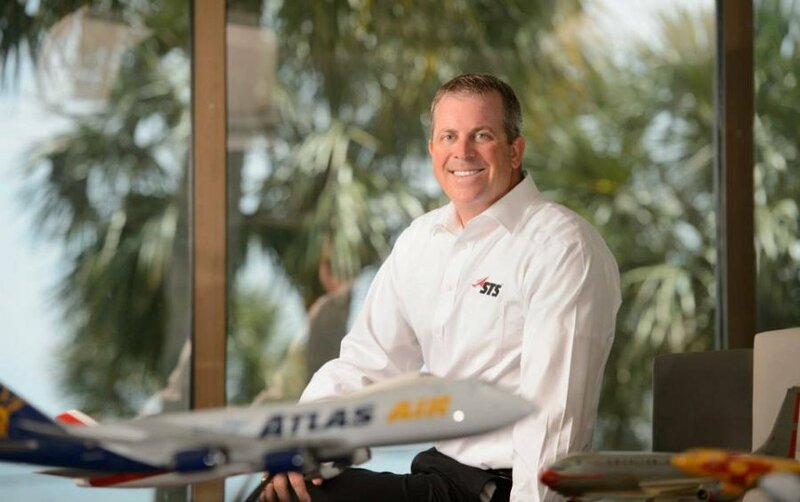 I officially came on board with STS in 1997 but have been part of the STS family since 1991 when my father, Phil Anson, joined the company after Eastern Airlines closed its doors. I started, and owned, an aviation background check company called Quest, Inc. I later sold that business to STS and agreed to join the team as its VP of Operations. Over the years, I worked my way up the ranks to eventually become CEO of STS Aviation Group, which is my current position. As for wanting to work in the aerospace industry, I have always had a passion for both aviation and being an entrepreneur, so yes. I guess you could say that I’ve always wanted to do this sort of work. It excites me. You know, when I look back, I always said my perfect career would involve both of my passions, and at STS, I have been able to chase both passions. Because of that, I feel lucky. Now, just like everyone else, there are certainly days where I get frustrated by my work, but I can honestly say that I’m as close to my dream job as anyone can get. I am a firm believer that, regardless of your position in life, everyone should strive to do something they love. Life is too short, and America provides too many opportunities, for any of us to be spending our time doing something we are not passionate about. Nothing makes me more sad than to speak with someone who is not passionate about their work and / or willing to work toward doing something that they are passionate about. Culture is the best way for me to describe what makes STS unique (in a good way). STS has a very strong corporate culture. I certainly work hard to guide the culture from my position, but the majority of what makes up the incredible culture we have comes from STS’ employees. Having a strong culture is very important to the success of a company, in my opinion. Many companies do not have a strong culture, and employees, especially new employees, need to know what it means to be a part of the STS family. They need to know what characteristics we hold in high regard in order to thrive as a member our team. The people I work with. Because of our strong culture, each and every STS employee feels a sense of responsibility to do their very best to support the company and their fellow team members. Each member of our team relies on each other to represent STS to the best of their ability. That being said, I believe that it is the culture and shared responsibility for success that keeps us all going. This is the very reason our customers value our support. They see how committed our employees are and know that they can always count on our team. Believe it or not, I love to bake! It has always been a passion of mine. I love to cook in general, but baking takes a special skill not everyone can master. My signature dish is a from-scratch carrot cake with cream cheese icing. I actually used the same recipe to bake my groom’s cake way back when. I bake lots of other things, too, like banana bread, cupcakes, pop overs, pizza and cinnamon rolls. Who knew, right?